Description: Eucalyptus Radiata is commonly known as “narrow-leaved Peppermint”. The young trees have oval bluish-green leaves while the mature trees develop long, narrow, yellowish leaves, creamy-white flowers and a smooth, pale grey bark. Aromatic Scent: Eucalyptus Radiata Essential Oil has a crisp, clean, camphoraceous aroma with back notes of citrus/floral. Common Uses: Eucalyptus Essential Oil has been used on all sorts of skin ailments such as burns, blisters, wounds, insect bites, lice, and skin infections. It contains a high percentage of Cineol, also known as Eucalyptol, which has strong antiseptic properties, thus it was popularly used to relieve colds and congestion. 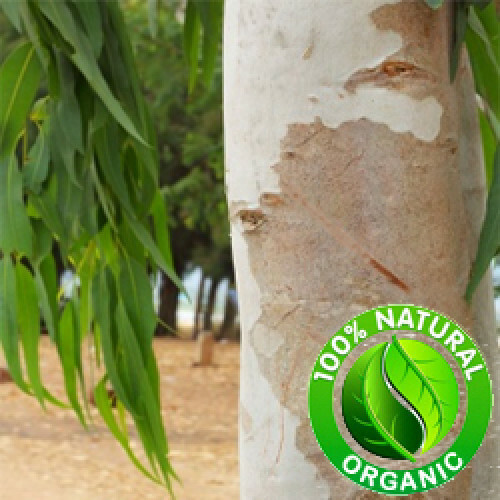 Eucalyptus Radiata is preferred over Eucalyptus Globulus because it is less harsh, more pleasant to inhale, and less likely to irritate the skin. It has also been used on sore muscles and joints as well as an antiseptic.